hello! I'm doing a little test! I'm blogging from my android. I love blogging but it would be much easier if I went mobile. Is there an android blogger app some of you love? 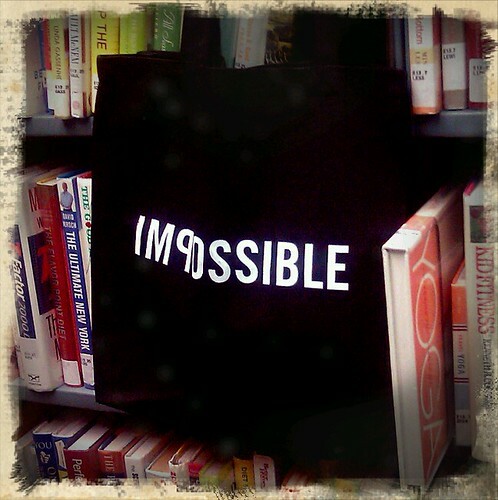 This is my new tote from the impossible project! I ordered some old film for NYC. That's one of the reasons I would love to blog via my phone. I'll be traveling and even though I have some fantastic blog sitters, i'd love to have the option of a little more than posting to twitter. I also think I'm the only one that doesn't have the wanderlust bug. Thank goodness I married a man that is as much of a homebody as I am. And by homebody, I don't mean couch potato, haha! Ok, I hope the post looks good! Now, off to test to comment on your blogs!